Former US Attorney Preet Bharara was asked to look into whether the President is violating the U.S. Constitution. Various news sources have reported the Trump administration fired a high-profile prosecutor who’d been asked days before to investigate whether the president is violating the U.S. Constitution by receiving payments from foreign countries. On the start of the weekend of March 10, U.S. Attorney General Jeff Sessions demanded that 46 U.S. attorneys appointed by President Barack Obama submit their resignations. 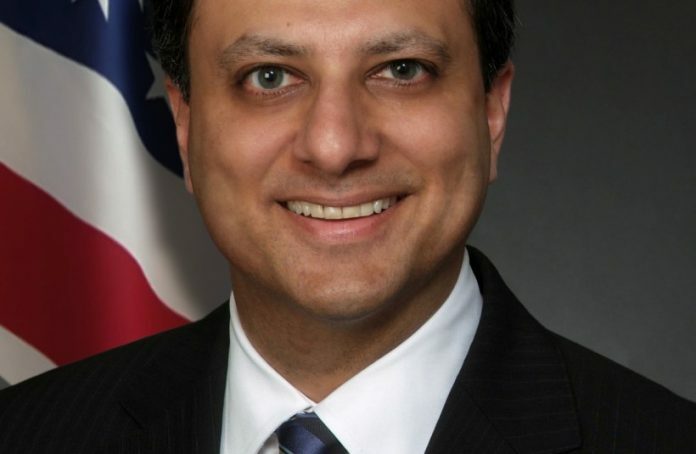 But Preet Bharara, the crusading U.S. attorney for the Southern District of New York, told his section chiefs late Friday that he hadn’t submitted his resignation letter and might instead challenge Sessions to fire him, according to The Daily Beast. Early Saturday afternoon, Bharara reported on Twitter that the standoff had ended. He was fired. Bharara’s firing comes three months after he met with Trump and later reported that the then-president-elect had asked him to stay on. According to The New York Times, Bharara is known as “one of the nation’s most aggressive and outspoken prosecutors of public corruption and Wall Street crime.” His jurisdiction included Trump Tower in Manhattan, and his firing comes one week after Trump claimed, without any evidence, that President Barack Obama had wiretapped the building. According to BuzzFeed News, watchdog groups wrote to Bharara a few days prior to his firing to ask him to investigate the president to ensure he was not receiving payments or benefits from foreign countries in violation of the emoluments clause of the U.S. Constitution. According to The Daily Beast, of the 46 U.S. attorneys asked to resign, Trump personally called two—Dana Boente in Alexandria, Va., the acting deputy attorney general, and Rod Rosenstein in Maryland, Trump’s nominee to serve as deputy attorney general, which would place him in charge of the Russia probe from which Jeff Sessions has recused himself—to tell them they would be staying on. “We were always planning for it on around day 50,” a senior administration official told Politico. It is a common practice with a new president to do a clean sweep of staff from the previous administration, including U.S. attorneys. According to the actions of previous administrations this is done when replacements are ready. According to various sources there has not been anyone formally nominated to a U.S. Attorney post.